I had such an awesome weekend and wanted to share with you one of my new finds. This weekend I went to the International African Festival and such a great time. I learned to belly dance, had amazing food, and even got to see a fashion show. One of the designers I saw was Afrodelik. 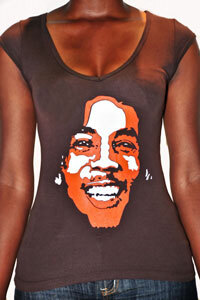 I loved the graphic tee’s with afros on them as well as some of music’s most legendary singers like Bob Marley and Jim Hendrix that were pictured on a few of the shirts. I saw a few more designers, which, I will share with you throughout the week. However, Afrodelik came all the way from Canada to showcase their stuff and the crowd was pleased. Who’s Afrodelik? 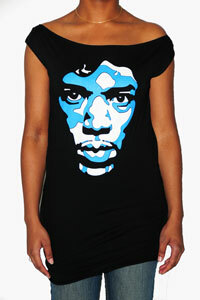 Well, according to their website: Afrodelik was founded by artist Desiree Marshall. 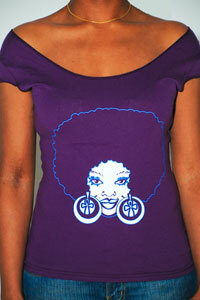 Afrodelik celebrates black culture by producing rich, funky, hand-drawn afrocentric art collections for clothing. 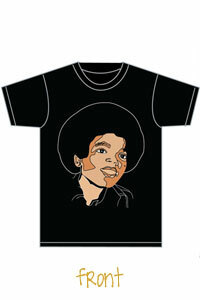 Currently they are only producing t-shirts but have plans to expand to bottoms and headwear. The shirts come in sizes XXS-2XL. THey also have shirts for men and children.